Seven years ago, I fell in love with a boy. He was my closest friend in college  someone who made me laugh, challenged me to challenge myself, and listened to all my hopes and fears without judgment. One night while we were hanging out in his dorm, I confessed my feelings for him and then bolted out the door. By the time I got back to my own room, there was an email waiting. He had feelings for me too. For the next month, things were perfect. Every touch was electric, every smile laced with the shared secret of our affection. When we left campus for winter break  me to Houston, him to upstate New York  I expected the absence to make our hearts grow fonder. I expected the new year to be better and brighter and blissfully full of our burgeoning love. Instead, on our first day back for the Spring semester, he broke up with me. Naturally I was devastated. I had no idea what Id done wrong and no idea how to fix it. I spent the following two weeks in a depression, robotically going to classes and club meetings, doing my homework, and eating only because I had to. Eventually I pulled myself from this abyss, forced myself to take care of my mind and body so that my spirit could mend. And when an unexpected opportunity arose to escape my regular life  which felt like the mere husk of an existence  I snatched it. An old friend was studying abroad, and a surprise stipend from my summer internship meant that I could afford to visit her. Nine days in Spain didnt heal my broken heart, but it helped. My feet kissed the cobbled streets of Granada, my arms embraced the scorching air of Sevilla. I drank in the architecture and history of Valencia. I floated in the shining blue waters off Barcelona. On the last day of my trip, I took a stroll alone through Buen Retiro park in Madrid. Couples in rowboats drifted across the small lake, and behind that, groups of young people sat chatting and laughing on the steps of the big stone monument. The lush green park made me feel small, and the cheerful conversations made me feel alone, but in the best possible way. Because I was finally happy, all on my own, even on the other side of the world from everything I knew. My lost and drifting love had found a new place to anchor, a new place to call home. The gaping emptiness inside of me had grown smaller, because Spain had started the process of filling it. The rest I would have to do on my own, of course. With time. Seven years later, I returned to Spain, very much happy and whole. This time, I came with the very boy who had once broken my heart. Between then and now, we had weathered many highs and lows. I supported him through a campus controversy; he supported me through drama with friends. We got back together and we broke up; we fought and we made up. He graduated and accepted a job in another city; I graduated and moved in with him. We met each others families, we adopted a puppy, we got a joint credit card. 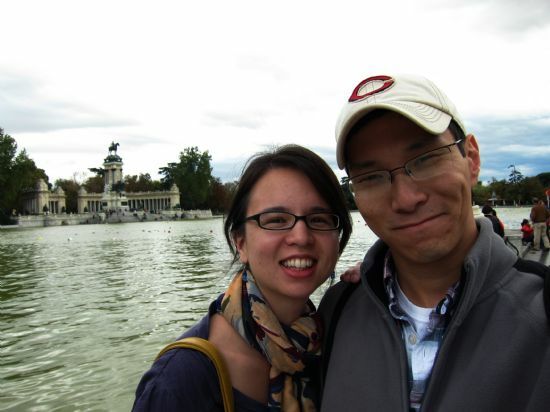 We had started building a future together, so I wanted to make peace with our past by visiting Spain. In a way, I was introducing one lover to another. But there was no jealousy or fighting  just good food, good sights, and good company. As we strolled hand-in-hand through Buen Retiro park, I was reminded once again of why I fell in love. With both of them. CROSBY  The local post office is now officially Army First Sergeant David McNerney Post Office Building following a dedication ceremony last Friday officiated by the Crosby Post Master, Pastor Keenan Smith, Precinct 2 Commissioner Jack Morman, Houston Post Office District Manager William Mitchell and mostly Congressman Ted Poe, R. 2nd Congressional District. The new Congressman for Crosby, Steve Stockman, after redistricting, was represented at the event by his wife. David McNerney was bestowed the Congressional Medal of Honor based on his bravery on March 22, 1967 exactly 46 years before at Poli Doc, Republic of South Vietnam by President Lyndon Johnson in September, 1967. Many of the men that accompanied him that day to the battlefield where he encountered vastly superior numbers of enemy combatants came from throughout the country to honor his memory. 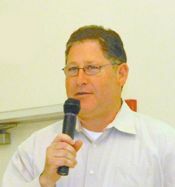 Pastor Smith performed the invocation. Staff Sergeant Chris Boyd of the 138th Fighter Wing Alert Detail #1 performed an Armed Exhibit Drill and the colors were posted by Crosby High School JROTC. Seating was near capacity as many stood during the ceremony. 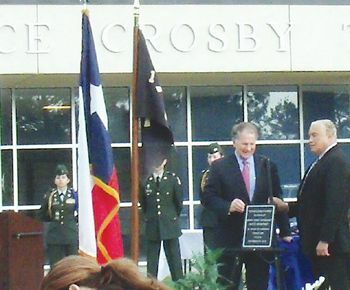 Congressman Poe in Nov. 2011 proposed a tribute to McNerney recalling that after high school in Houston, McNerney volunteered with the U.S. Navy and pulled two tours of duty in Korea. He left the Navy in 1953 and joined the U.S. Army. McNerney was one of the first 500 soldier for the U.S. in Vietnam. During his third tour of duty in Vietnam, stationed near Cambodia, he and his company were sent to recover a missing reconnaissance team. He came under heavy North Vietnamese Regular attack and was wounded. Nonetheless, McNerney called in close artillery fire. He destroyed an enemy machine gun nest. He pulled wounded to safety while under enemy fire. He secured a landing zone for helicopters and refused to be evacuated although wounded by a grenade. This is not where Sergeant McNerneys service to America would end on that battlefield in Vietnam. He went to work for the United States Custom Service and caught a record shipment of drugs inside the Port of Houston. Poe again returned to congress with a proposal in July 23, 2012 and asked that the Post office at 133 Hare Road in Crosby be named for McNerney. 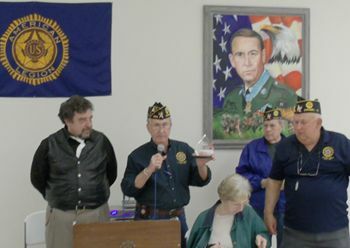 A reception was held at the David H. McNerney American Legion Post 658 following the ceremony. HIGHLANDS  Faced with an unprecedented amount of growth in student population in the next 10 years, the Goose Creek school district is planning on building and renovating a number of facilities to meet the needs of the school district, according to a talk given last Thursday to the Highlands-Lynchburg Chamber of Commerce by Gilbert Santana. Santana is a member of a facilities planning committee formed last year, to study the problem and make recommendations. This citizens group consisted of 214 invited members, and 79 took an active role, he said. They spent 5 months on the study, held 11 meetings, toured 9 facilities, studied growth patterns and reviewed technology and transportation options. On February 25th the committee made a presentation to the school board, and this was the basis for Santanas talk. He cautioned that the board had not made all decisions final, and in fact had reduced the size of the bond request considerably from the committees recommendations. The bond election is now set for May 11th, and the district is preparing final documents to present the facts to the voters. Santanas committee studied what they considered needs only, not wants or wishes. They came up with the need for 3 new elementary schools to meet student population growth, CTE (Career Technical Education) improvements, labs, new data technology and emergency operations center, a new transportation center, repurposing Alamo Elementary, maintenance and renovation of existing buildings to make them usable for the future, security enhancements such as cameras, locks, and restricted entries, new buses, new technology, improvements at Stallworth stadium, an Agriculture Science Center expansion, and property purchases for future use. The total for this work came to $340 million dollars. The school board reviewed the committees recommendations, and decided that although all of the scheduled projects were worthwhile and needed, they felt that some of them could be accomplished outside the scope of selling bonds. Santana said that the district will probably issue a vote on a bond package with two propositions, and the total of the two would come to $267 million. Proposition 1 will be for $187 million, and include the 3 new elementary schools and other necessary construction. Proposition 2 would be for $80 million, and include the major maintenance and renovation items in the study. In terms of a tax increase for homeowners, the total package would amount to a $.13 cents per $100 valuation. This would be about $8.15/per month for an average $100,000 house, $13.04/month for a $150,000 house, and $17.93/month for a $200,000 house. However, anyone with an over 65 exemption would not pay this increase, and even the average homeowner would have the increase in stages, as the district sold the bonds and built the projects. CROSBY  Congressman Ted Poe R., 4th U.S. Congressional District, will officiate the dedication of the Ronald Reagan Crosby Post Office Building as the Army First Sergeant David McNerney Post office Building on Friday, March 22, 2013 at 8:30 a.m. at 133 Hare Road in Crosby. March 22 is the 46th commemorative date on which the outstanding brave acts of David McNerney earned the Congressional Medal of Honor at Poli Doc, Republic of Vietnam. A reception will immediately follow at the Crosby American Legion, David H. McNerney Post 658 at 14890 F.M. 2100 in Crosby sponsored by the American Legion Post. Coffee and cookies will be available for guests at the Legion Post immediately following the ceremony at the Post Office. Congressman Poe wrote the bill that passed the House and Senate and President Obama signed it into law last December. McNerney was awarded the Congressional Medal of Honor on September 16, 1968 by President Lyndon B. Johnson. Eighteen months after the incident. In honor of this commemoration, about 30 men from the Battalion McNerney led into battle will attend the dedication. At 4:00 p.m. that same day, at the Post, the David H. McNerney American Legion Post 658 will award a second scholarship to a JROTC recipient. At 5:00 p.m. a $10 fish dinner will be held at the legion hall, please make reservations by calling 281-324-2709 for a ticket. A breakfast will be held at the Humble Inn for the men of McNerneys Company at 8:00 a.m. the following day. This event is open for the public to purchase breakfast and commune with the guests. At 1:00 p.m. that Saturday, there is to be a replant ceremony to honor McNerney at Houston National Cemetery within the Rotunda, where Medal of Honor Recipients are buried. In a presentation to the North Channel Chamber last week, McCord Developments Land Development Director, Rick Yarbrough, described the fea tures of the new 4000 acre Enterprise Park that is being built on Beltway 8 East, near the current Summerwood neighborhood. McCords CEO Rick McCord, has spent the last 20 years assembling the land and planning this project. The concept is to build a top level business park for top corporations that will feature energy efficiency, in the buildings, land development, and design amenities. McCord and many other city planning officials believe that there is great potential for development in the Northeast sector of the county, and that this project could be the prototype for community planning and economic development. The project will be a beautifully landscaped mixed use with offices, commercial, industrial, research, and multi-family buildings in segregated zones. Yarbrough cited the location as being ideal, with easy access to the airport to the north, and the Port of Houston to the south. In addition, it is surrounded by quality housing, parks, good schools, and water features including Lake Houston. McCord is just beginning the development of this property, Yarbrough said, and they expect it to be a 20 year long project until completed. McCord announced the first major prime tenant just last month, FMC technologies bought 173 acres for offices and manufacturing. Their property will face Beltway 8/Sam Houston Parkway East. 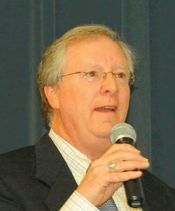 CROSBY  The local school trustees, in a unanimous seven to zero vote, approved calling for a bond election to be held on May 11, 2013. Currently Crosby ISD property owners are paying $1.68 per $100 valuation, if passed voters will pay $2.01 per $100 valuation. If approved by voters, the tax rate increase required to finance the projects will not exceed 23 cents. The average Crosby ISD homeowner can expect to pay $17.68 more in taxes per month. There will be no tax increase above the frozen level on the homestead of taxpayers 65 years of age and older who have applied for and received the age 65 freeze. 3. Provide additional district-wide renovations and repairs. The total cost of the Long Range Facility Improvement Plan is $86.5 million, with the first phase and first priorities being approximately $76.5 million. A Citizens+f Committee was established in October of 2012 to study the facility needs of the students of Crosby ISD and to make a recommendation to the Board of Trustees on a Long Range Facility Improvement Plan to address enrollment growth, to address aging facilities and to provide adequate facilities for the forthcoming grade and school re-alignment (which is planned to occur with or without any new facilities). The Citizens+f Committee recommendation and subsequent Board of Trustee review has resulted in a bond election to be held in May, so that the voters can decide on this plan. Early Voting will occur from April 29th to May 7th. Early voting will be available Monday through Friday from 8:00 a.m. to 4:00 p.m. at the CISD Administration Building, and extended early voting hours will be available at various locations throughout the early voting period as listed in the notice of election. Election Day voting will be available on May 11th from 7:00 a.m. to 7:00 p.m. at the CISD Administration Building, Drew Intermediate School and Newport Elementary School.